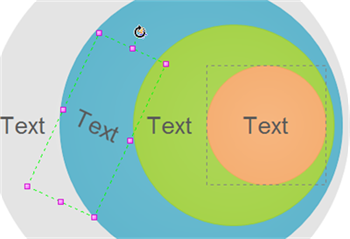 This article offers a shortcut to make circular diagrams aided by the smart and easy-to-use shapes. 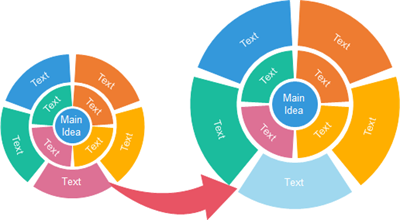 What is the topic you want to visualize by a circular diagram? 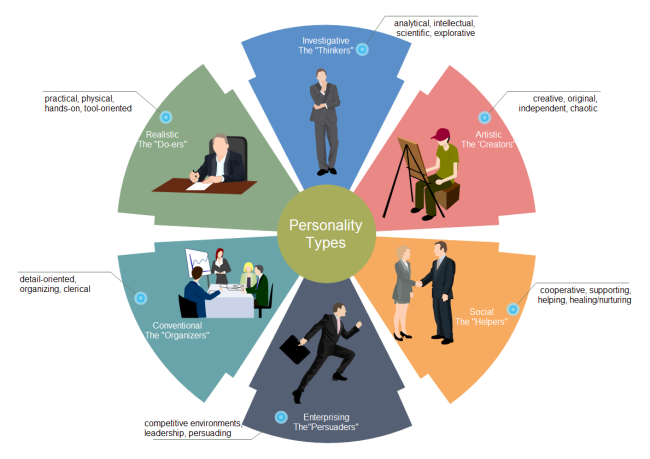 A deep understanding of it will facilitate your presentation process. Find more materials to support your idea. How many phases are included in the cycle? What is their sequence and how are they connected? Do you need to put more description in the diagram to illustrate each phase in detail? If you do, collect and collate them. After you start Edraw, you can find the circular templates in the Business Diagram category. 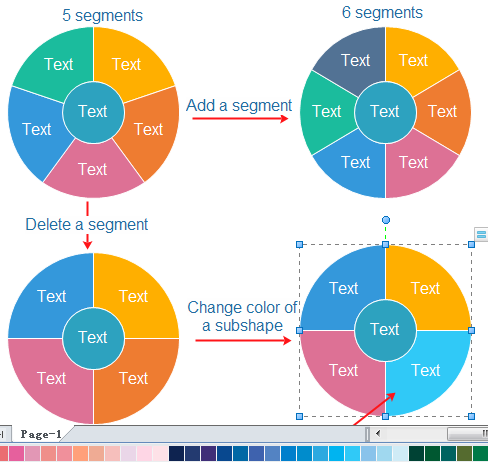 Double click the Circular Diagram icon to open a blank drawing page and the related stencils. There are a wide variety of ready-made templates for instant start. 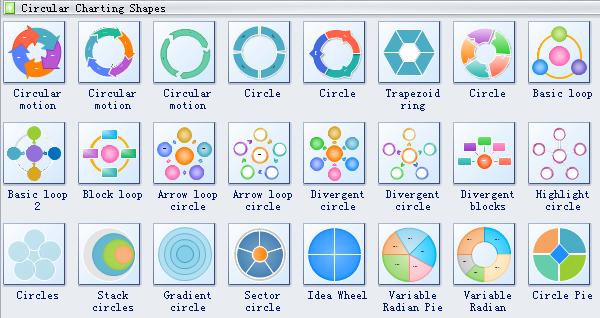 You can choose arrow style, stack circles, pie or ring style. See the below image. Choose a suitable circular shape and drag it onto the canvas. The shape is selected by default. 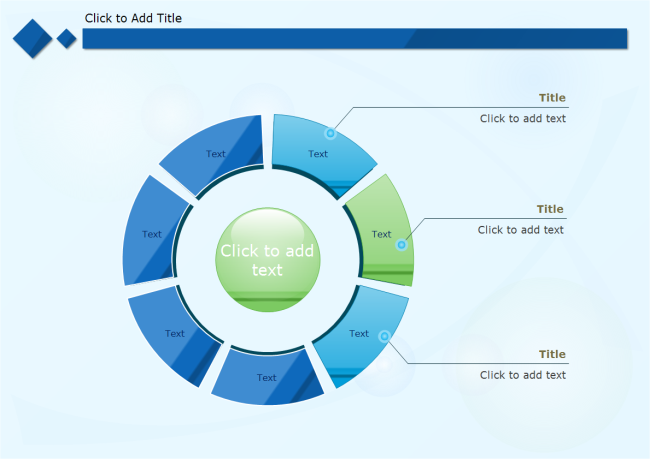 Move the pointer towards the floating button to configure the diagram, including the circle numbers, arrow size and direction. 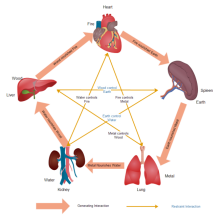 Let's take the Circular Motion 3 as an example. After you choose to add a segment , the shape adds one arrow automatically. You can change the direction of arrow (from clockwise to anticlockwise or from outward to inward), by only one click on the Invert Arrow option. Now let's have a look at another template - Circle 4. Add or delete a segment by clicking the floating menu. Click the shape, after a few seconds or longer, click a subshape (the interval is longer than double click). Note that when a subshape is selected, the selection points turn blue. While the whole shape is selected, the selection points are green. Replace the fill color of sub shape by clicking a color in the color bar. To emphasize the central topic, you can enlarge the gad size. This can be illustrated by Circle 6. 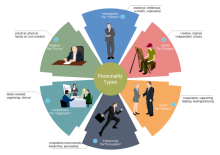 Click on the outer ring twice to select it. A yellow control handle appears. Drag the yellow handle outwards to increase gap size. The ring width decreases at the same time. You can edit this templates for more possibilities. One template can be edited in many ways to form a wide variety of new styles. Click the floating menu to add more rings. Select a certain ring to change its segment number. Each ring has it own floating menu. Change the color of subshapes of any ring. Change the gap between rings and the width or rings by dragging corresponding control handles. Double click the shape to insert text. 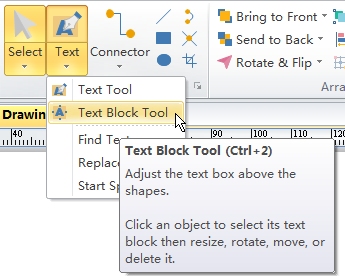 Click the Text on the Home menu and the choose Text Block Tool to edit the text block. Click the second time on the target subshape and a purple box shows, representing the text block. Change its size by dragging its square control handles and alter its orientation by moving the round rotation control handle. In the Font tools group on the Home menu, you can change the text alignment and add bullets to the text. Click on the shape the first time then a green box shows. Move the green square control handle to change the size of the central circle. Click twice on the circle you want to alter and then a blue box shows. Move the blue square control handle to change its size. 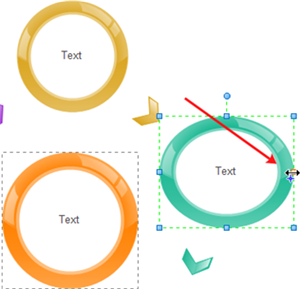 Clicking the round control handles rotates the circle including the text block.